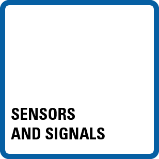 Sensors and Signals badge holders understand the different types of signals and the sensors used to measure those signals. 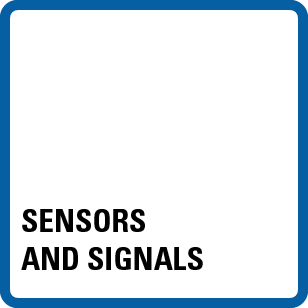 This badge holder can select the appropriate sensor for signals such as strain, vibration, and position as well as possesses a foundational knowledge of sensor configuration and connectivity to data acquisition hardware. This badge is earned by passing the related assessment. Understand the different types of signals and the sensors used to measure signals and select the appropriate type for a given measurement need. Data Acquisition Using NI-DAQmx and LabVIEW This training is only available online. Data Acquisition Using LabVIEW NXG This training is only available online. On the acclaim website, one of the Skill tags for this badge is misspelled "Bridge-based Measurments" should be "Bridge-based Measurements". The link points to "https://www.youracclaim.com/skills_by_name/Bridge-based%20Measurments"